I asked readers to recommend home organization books, and Finally Organized Finally Free, for the Home, a book by Maria Gracia, is one that Fee from Scotland wrote in to tell me about. I bought this wonderful book, and it has really helped me. I have had difficulty in keeping everything at home running smoothly, no easy task with a busy hubby, four growing children, a teaching position etc.etc. Maria Gracia makes everything so easy. No matter at what page you open the book, you can read a couple of tips to put into practice immediately. It is a huge book, dealing with everything you would ever need to organize. Maria Gracia is a professional organizer, and a mother, and understands how difficult it is for some to maintain an organized home life. The tips apply to everything, from overhauling heating systems, to storing out-of-season clothes. I have a number of organizing books, but none can compare to this fully-comprehensive volume, which even has advice for procrastinators like me! Well worth buying in my opinion. 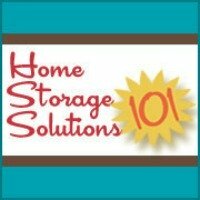 Thanks Fee for sharing your recommendation with us for a good home organization book. Finally Organized, Finally Free for the Home sounds like it could have some great ideas for us household managers. and although I have not read this book yet I am now even more interested. I enjoy her tips and advice in general, so I cannot imagine the book would be disappointing. I did some investigation and the book, Finally Organized, Finally Free For the Home is available as either an e-book or in a print version, with the print version being slightly more expensive, I guess because of the printing costs. Has anyone else read this book, and want to share their comments about it? If so, please share them below. In addition, do you have your own recommendation of a helpful home organization book? If so, share your recommendations here. Please note after receiving this review from Fee I researched Maria's books further, and was so excited by the products she has to offer I joined her affiliate program. That means if you buy this or other of her products through my link I will get a small commission. See my disclosure policy for more details. I did not write this review myself though. It was written by a reader of this site who submitted it to me for publication. Join in and write your own page! It's easy to do. How? Simply click here to return to how to organize your home (book reviews).